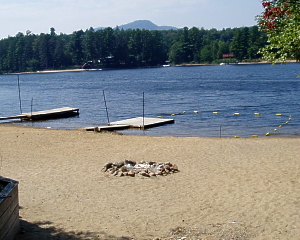 Adirondack lodging accommodations, summer vacation rentals and places to stay in the Adirondacks. 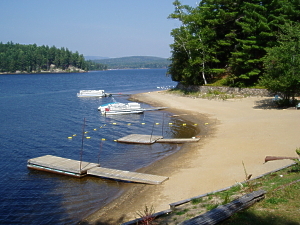 Lodging accommodations vacation rentals resorts cabins cottages motels hotels in the Adirondacks. Adirondack lodging and Lake Placid Lodging accommodations can be found at Lake Placid Travel. Our listings include lodging accommodations at Adirondack motels hotels inns resorts cabins and cottages. Happy campers are our best advertisment! Seaman's Lakeshore Cabins are a family owned and operated vacation getaway located in Long Lake, NY. They were originally developed as Seaman's Campground by our grandfather in the 1930's. We offer a family oriented vacation at a reasonable rate. Most of our guests have been coming to our cabins for years and have grown to be friends of the family. We don't have televisions or telephones in all of our cabins. In fact, we don't have TVs or phones in any of our cabins. It seems most of our guests prefer it that way. We do have a beautiful sand beach nestled in a small cove with a nice western exposure (the sunsets behind Owl's Head Mountain can be spectacular). If you and your family are looking for a no frills vacation, just lots of water, swimming and sun, give Mom a call or drop her a line, and she'll leave the light on for you (she's been doing it for decades). For the comfort of all our guests, we must ask that you leave your pets home. Our cabins are housekeeping cottages. Kitchen utensiles and pillows are supplied, however, we do not supply bedding or towels. For more information, photos of the cabins and rates, click on any of the links to the cabins. This site updated September 19, 2018.